Transport department officials in Karnataka are cracking down on private car owners who ferry passengers using carpooling apps. Vehicle owners using such apps for commercial gains are being booked and their vehicles are being impounded. 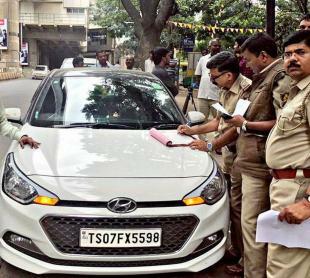 Officials impounded a Telangana registered Hyundai i20 for flouting various rules, including using a private car for commercial purpose and lapse of insurance. The owner had posted his vehicle details on a mobile app offering share rides. Transport officials posing as passengers used an app to book a ride on this vehicle for Rs. 1,600 and decided on a pick-up point, where the owner was questioned and booked. The owner was also charged with a fine of Rs. 2,000 by the court. Private cars offering share rides from Bangalore to Chennai and Hassan were also booked. Transport officials claim that the concept of carpooling is being misused. There is no harm in people travelling in a group and sharing fuel costs, but carpooling for commercial gains is in violation of the rules. They also claim that in the event of an accident, the passengers are not entitled to compensation if they are travelling in a private car as they are not covered by the vehicle's insurance.